Greffy likes her sunshine, she was rescued from France by myself and brought to the UK 3 years ago. She was mistreated by previous owners and so took a month for her to feel more confident of people. She came into my life at a very difficult time in mine and so you could say we rescued each other's. Her name is a short version of the word Graphene, a metal superconductor very light and very durable which was discovered by chance by dropping pencil graphite over sticky tape. She super conducts love and has made the last few years in my life a very special time. She's a learned cat, likes to sit with mummy when mummy writes or reads. She has a very inquisitive and mischievous character, very vivacious and a bit cantancherous sometimes. I don't know about you but I couldn't fail to notice how our human diet issues are starting to resemble very closely to the issues our own pets seem to develop. It often is to do with food choices. Food choices are to do with how much we know about what we/they (our pets) eat. On a broader scale they have a lot to do with the commercial input limits ( or lack of them) food manufacturers have. Paws for thoughts later and several questions marks unanswered following, I decided to dig deeper into why some of us have seen our pets be somewhat … ‘metabolically off axis’… ( not to say the word ‘fat’) but hungry at the same time? Eh? The unfortunate (pet and human alike) end result often is.. high vet bills, lists of unlikely medicines, special? commercially produced foods to seemingly repair, .. really? the damage already caused. Something's wrong. Not to mention the nose twitching end result for them, whom, bound to us by the invisible covenant of unconditional love, must also in their way ask themselves ..why? and put upon some of us in that uncomfortable feeling that we could have done different, aka, better to preserve their… (and our) long term health. We can do different. And it's not rocket science. Where do we start? We could start by asking why and taking a personal interest in finding the answers. This involves doing something different from what you maybe used to, but it's going to hopefully help you with a better outcome on many levels, for you and your pet health. Reading labels of pet foods you buy can be useful and informative. After a while you begin to see ingredients repeated and once you become aware of what they mean you are almost there. Pet foods manufactured with a high meat content are likely to contain less of other ingredients that can damage your pet health by damaging intestinal health, liver health and increasing the risk of diabetes. 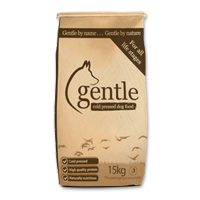 The type and quantity of this ingredient is regulated by EU regulations and UK pet food Standards. The type is selected from what is called ‘material of animal origins’ for ‘non-food producing animals’*. In other words they decided to utilise parts of the animal that are not given to say a cow or a sheep which then produces meat or milk we eat. If it's not good to eat for them then is it good to eat for your cat or dog? The downside of this is, manufacturing takes liberties in what then goes into the food you then give your pet to eat. If you overlook this point over time your pet health is likely to suffer because of the poor nutrient value of such foods. A bit like us? Fortunately the belief systems and positive attitude of some have brought us products that value the long term health of our pets. These are the by-products we don't eat and the food producing animals mentioned above don't eat, of an animal having been processed for human consumption. However having poor nutritional value, they are also of poor nutritional value to our pets. Obviously enough why put sugar in savoury foods, human or pet alike? The word natural like the word pure, don't tells us anything about what is ‘natural’ or ‘pure’. It does try to lead us in a false sense of security that the, for example, 14% meat content of the tin below is remotely acceptable. Unknown origin. The origin of the derivatives is not listed so you don't know where that protein your pet is eating comes from. They, who put it in there, don't have to be accountable for where it is sourced. 2. A wet cat food tin with between 12% and 21% of protein, unknown origin. (Advertised to be) 100% natural. Carbohydrates that are high GI. There are some very useful articles on this site about the Glycaemic Index of some starchy foods (sugars grouped in long chains, as opposed so simple sugars, grouped in small chains), linked to long term health issues. Below also are listed a couple of websites that go into some depth in the reasons why cats are ‘obligate carnivores’, that means, they only need to eat meat. 0006/meat-and-animal-derivatives) and EU law, using generalisation when describing labels allows food manufacturers to include low grade ingredients so that what you then buy appears to be too good to be true: cheap and with high nutritional standards. Yet you can delve into the 300 pages of the Food Standards Agency manual for further answers. Should we? Not really. At consumer point we possibly would not want to become the next Pet Police. The key responsibilities for choosing what we eat rest with those who provide food that doesn't affect detrimentally our (and our pets) long terms health theirs. Taking a cool sharp harp away from this point as the responsible cat mum that I am I eventually find brands that have taken that responsible pathway and don't mind if I have to look again at how I prioritise what are the components of my day to day life. I would much rather my little cat Greffy had nutritious and healthy food. Then there is the newer but very important concept of sustainability. If her food comes from a nearby retailer who has like me found positive effort an asset in creating something new that brings sensible and rewarding results whilst thinking about the impact on our environment and promoting local businesses then it can only be a pleasure to support them.